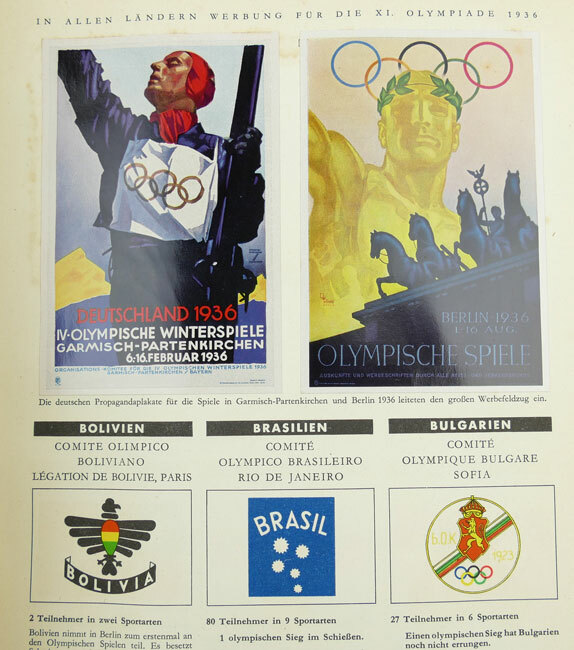 This is a nice set of both Olympic Games 1936 Photo-books (Bilderalbums). 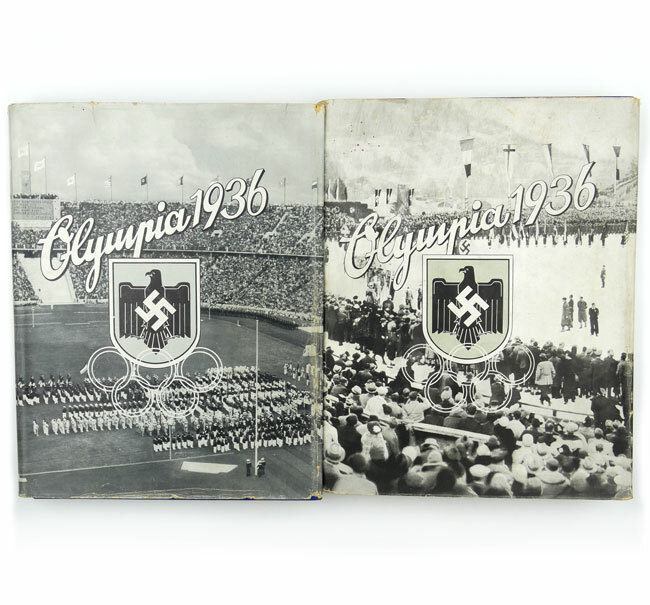 The 1936 Olympic Games were held in Berlin, Hitler saw the Games as an opportunity to promote his government and ideals of racial supremacy. All of the images in the books are complete, part 1 is complete with the original fold-out poster in the back. 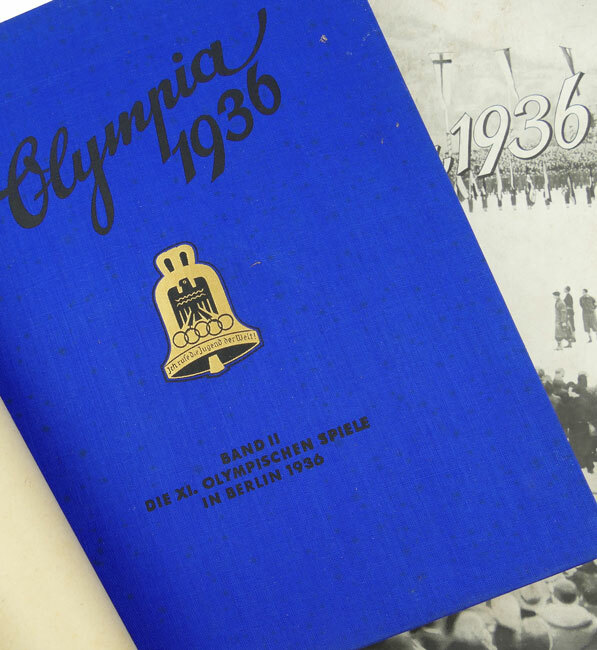 The books are complete with their hard to find original dust-covers. Both parts ar in used condition, see photos. Decorative original set! Shipping: The books can only be shipped as a parcel. Due to the heavy weight of these books I will ship these only to countries inside the Euro-zone. All other countries after consultation only. 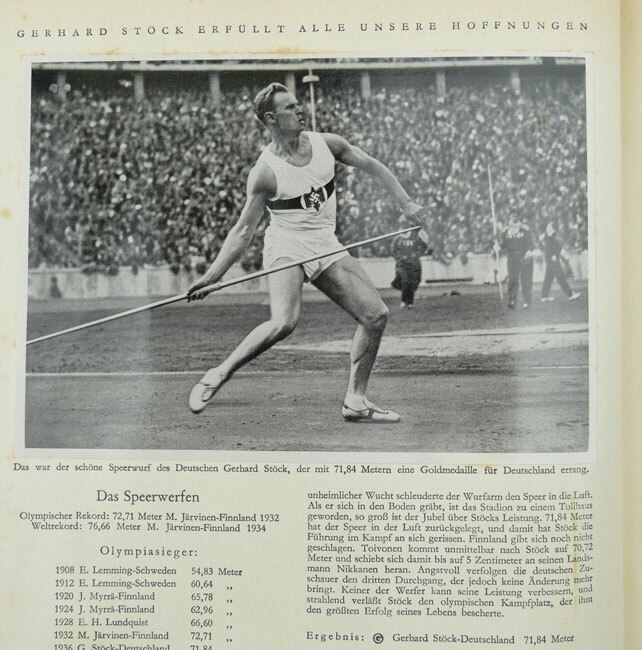 Dit is een mooie set van beide 'Bilderalbums' van de Olympische Spelen 1936. 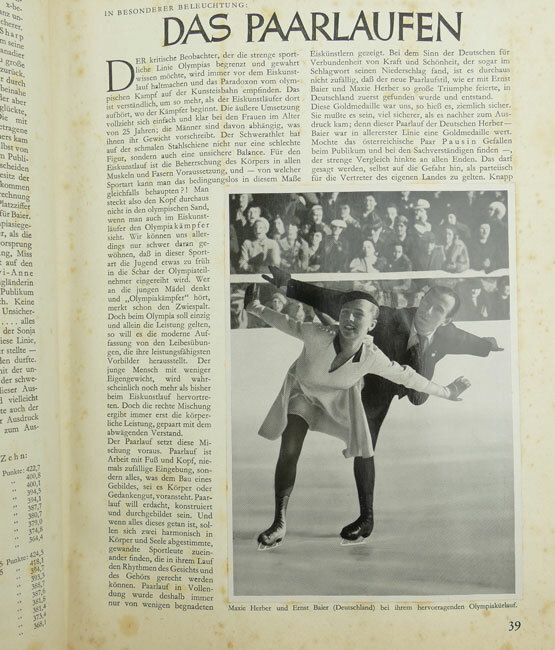 De Olympische Spelen van 1936 werden gehouden in Berlijn, Hitler zag de spelen als de perfecte gelegenheid om zijn regering en ideeën over rassen-superioriteit te promoten. Beide delen zijn compleet met alle plaatjes, deel 1 is compleet met de originele uitvouw poster achter in het boek. De boeken zijn compleet met de vaak ontbrekende stofomslag. Beide boeken zijn in gebruikte staat, zie foto's. Decoratieve originele set!